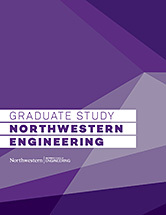 Part-time Northwestern MSIT student Vernon Pearson reflects on his recent presentation to his fellow classmates. I believe that the world works best when it is open and collaborative. I also believe that it is technology's role to free ourselves from the yoke of repetition and drudgery. Imagine for a moment a world where we are free to build new experiences, new relationships, and new thoughts. At Exelon, I have this opportunity, and it is most evident in my work to support our culture of innovation. As a technical leader, I work with teams across the company to showcase what is possible with computer vision, chatbots, and robotics. Because I work at one of Fast Company's Most Innovative Companies, often times my most difficult role is educating what is possible without being pessimistic. I'll be honest, it's a challenge. I work with dreamers. I enrolled in the MSIT part-time program to discover solutions to this challenge and practice communicating technical ideas to non-technical audiences. Earlier this year, I had an opportunity to gain valuable experience when I made a presentation to my classmates about Docker. As the Docker website explains it, "Docker unlocks the potential of your organization by giving developers and IT the freedom to build, manage and secure business-critical applications without the fear of technology or infrastructure lock-in." I like to think of the application as a suitcase that has everything needed to make a hotel room feel like home. Specifically, with Docker, your software will have all of its build dependencies to run on any machine. Docker is a suitcase that has everything that makes your hotel room feel like home. That is, your software will have all of its build dependencies to run on any machine. As the Docker website explains it, "Docker unlocks the potential of your organization by giving developers and IT the freedom to build, manage and secure business-critical applications without the fear of technology or infrastructure lock-in." TL;DR. Use Docker. What was great about the presentation was it gave me the opportunity to teach my fellow classmates about a program most had never used before while being in a low-stakes environment. I wanted to inspire my classmates and to share that with one line of code, you could run an entire build environment. That being said, I also wanted to learn. And learn I did. Judging from the engagement and interest from students after the presentation, the overall talk went well. I know that it could have been better, though. One valuable lesson I learned is if you are going to make a presentation where you plan to run live code, make a recording of that portion instead. I didn't have admin access to the machine I presented on, so I had to substitute words for moving images, and I know the overall impact suffered. Despite that, I had a great time presenting, and I want to thank MSIT and my classmates for giving me the opportunity to share my knowledge. I am a big proponent that innovation happens at the crossroads of diversity and open-mindedness, and the MSIT program has a broad diversity of experiences: academic, professional, and cultural. I cannot imagine another program where there is such a balance of accepting differences of thought while challenging expectations. Vernon Pearson is a senior technical analyst at Exelon. He accepts pull requests on Github and can be followed on Medium.